ABS-CBN and Star Cinema already accepted Liza Soberano’s decision to withdraw from the “Darna” movie project due to medical reasons. In the official statement released by ABS-CBN Integrated Corporate Communications headed by Kane Errol Choa. They highlighted that during Liza’s stint as Ganda in Bagani last year that she already suffered a finger bone fracture while doing a fight scene. And with that, she still undergoing treatment and recovering from the trauma. After consulting her doctors, they recommend that Liza should not pursue the project as the injury shall hamper her from doing stunts that the role will require her. ABS-CBN and Star Cinema accepted Liza’s decision and promised that they will continue the said project will looking for Liza’s replacement. Here is the official statement of ABS-CBN. “ABS-CBN and Star Cinema regretfully announce their acceptance of Liza Soberano’s decision to withdraw from the “Darna” movie project due to medical reasons. 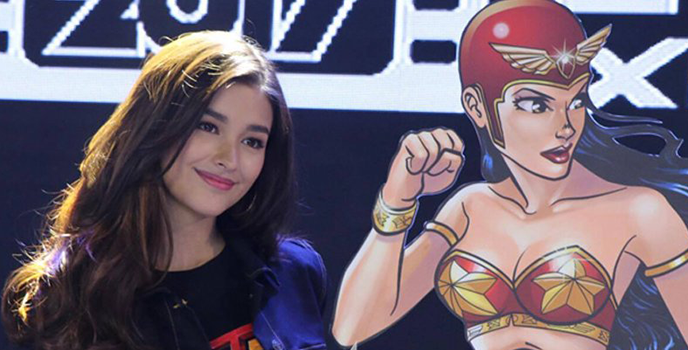 It was in 2014 that ABS-CBN announced that Darna is coming back on the mainstream and Liza will be doing the role. That time, Erik Matti was chosen to be the director. In October 2018, Erik resigned and was replaced by Jerrold Tarog. Throughout the years, celebrities already portrayed Darna includes Angel Locsin, Marian Rivera, Vilma Santos, Nanette Medved, Anjanette Abayari and Dolphy (for Darna parody). Previous ArticleMNCTV to bring PH’s trending noontime show It’s Showtime to Indonesia!